You can now get your news in West African Pidgin. Here’s a sample. My favorite thing about Google Voice is marking phone calls as spam. “Hi! This is Elizabeth from Resort Rewards Center and you recently…” [click] [Mark as spam] Of course, they somehow have 50 local numbers, but it feels like I’m contributing to something. A guy set up a service called spamnesty where you can forward a scam email and a bot will attempt to waste as much of the scammer’s time as possible, expressing interest in their scheme and asking for more info. Here’s one that I forwarded to it. 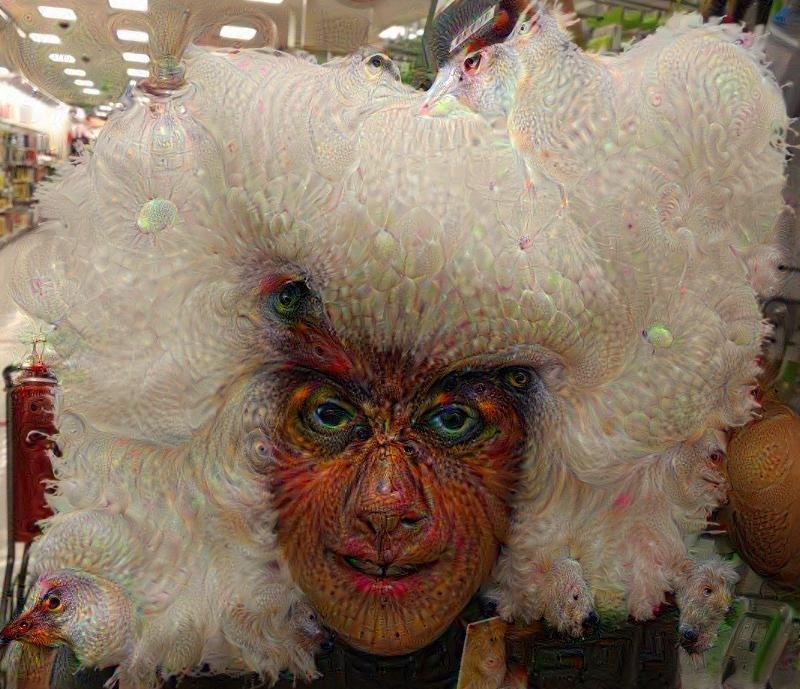 The deep dream generator lets you upload images to be manipulated in some painstaking ways…like inserting animal fractals and so on. Here’s a sample. If you’re into Google products, as a sort of digital will, you can set up Google Inactive Account Manager in case of your demise. After a set number of months of inactivity, it will give access to someone of your choosing. Did you know that, more and more, you can just talk to your computer to do things? Historically, computers have generally been difficult to use. But they’ve recently gotten easier…you can often talk to them now. So get out there and say “OK Google, Hey Siri, Hey Cortana” and see how many phones and computers you can get to respond at once. You can’t get everything accomplished by talking yet, but it’s pretty impressive sometimes. On an Android phone or tablet, you can tap the little microphone button and say things like “navigate to Smiths”, “set a timer for 15 minutes”, “remind me to water plants in 1 hour”, “note to self: buy milk”. Similarly, you can click the Microphone at google.com while using the Chrome browser. You can also set these up to respond to you saying “OK Google”. And now Windows is getting in on the game with Windows 10. Once you get things set up in Windows 10, you can just say “hey Cortana” and say things like “start calculator”, “play music”, or “show me pictures of dinosaurs”. For some reason, it doesn’t respond to, “shut down”. I wonder why? If you update to Windows 10 in the next year, it’s free. This assumes that you have a laptop with a mic, a headset, or some other kind of microphone. This won’t work if you have no mic. Once Windows 10 is installed, click the little search bar in the lower left and set it up. You might have to click the little microphone icon down there and set that up. You’ll also need to set up voice activation by going to the start menu and typing Cortana to go to Cortana settings. Enable the “hey Cortana” feature. Once you do this, it’s pretty funny to say “hey Cortana” in a room with many PCs. Google just released google photos. (They gave up on attaching it to Google+.) So, you wanna back up all your pics from your PC to google for safe keeping? Go to photos.google.com where you hopefully have an account. On the left side, click the “…” symbol. Select App downloads and get the Desktop Uploader to get their program to back up all your pics from your hard drive to Google. I feel safer with my pics there, rather than a backup at our house. I was reading a web page that was hyphenating words on the right margin for line wrapping. It was really jarring. Then I remembered this was a something that they used to teach that to us in school. It’s been a long time since I’ve seen it much of anywhere. With modern technology, it seems a pretty bad idea. Having a flush right margin is not so important that it should cause you to stutter over these hyphenated words as you’re reading.